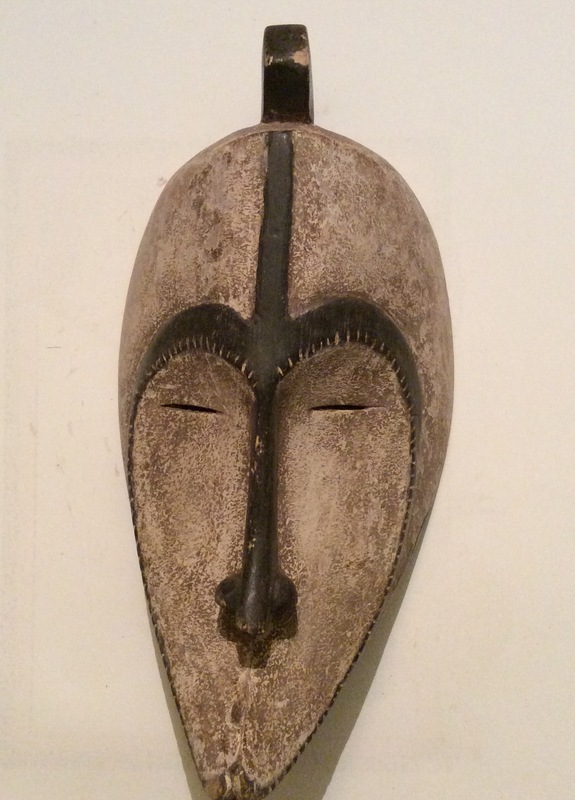 African Masks from the Rasta. The Rastafari movement is a religion which worships former Ethiopian regent and emperor Haille Salassie as the second coming of Christ. It originated in Jamaica in the 1930’s and coincided with Selassie’s heroic efforts to defend his homeland against the aggressions of Benito Mussolini in the Second Italo-Abyssinian War (Abyssinia being the name for the Ethiopian Empire). Selassie’s bravery in resisting the stronger and better armed Italians, and his prominence on the world stage as a political thinker drew a cult-like following. The term Rastafari derives from “Ras”, an Ethiopian word meaning head or leader, and Selassie’s birth name “Tafari Makonnen.” Hence, Rastafari means “leader Tafari”. Though Selassie never directly claimed to be a deity, the name he took upon becoming emperor hinted as much: Haille Selassie, means “Power of the Trinity.” And he poignantly passed up several opportunities to deny his own divinity, most notably on a visit to Jamaica in 1966. Selassie exercised extraordinary influence over his county’s identity, serving as its Regent from 1916 to 1930, and Emperor from 1930 to 1974 – a total of 58 years as head of state. He was extremely well traveled, and greatly increased the prestige and profile of Ethiopia on the world stage. While centered in Jamaica, there are Rastafarian communities in many countries including The United States, The United Kingdom, Ivory Coast, Malawi, Japan, the Sudan, and of course Ethiopia. Rastafarian movement holds that Selassie will return one day and lead Rastafarians to a paradise in Ethiopia. The Rasta masks in our collection, like most Rasta masks, feature the famous dreadlocks by which most Rastafarians can be identified. Several theories seek to explain the origin of this hairstyle, among them is that they are an imitation of the Mau Mau warriors of Kenya who created the “dreaded lock” hairstyle to frighten their enemies in battle. 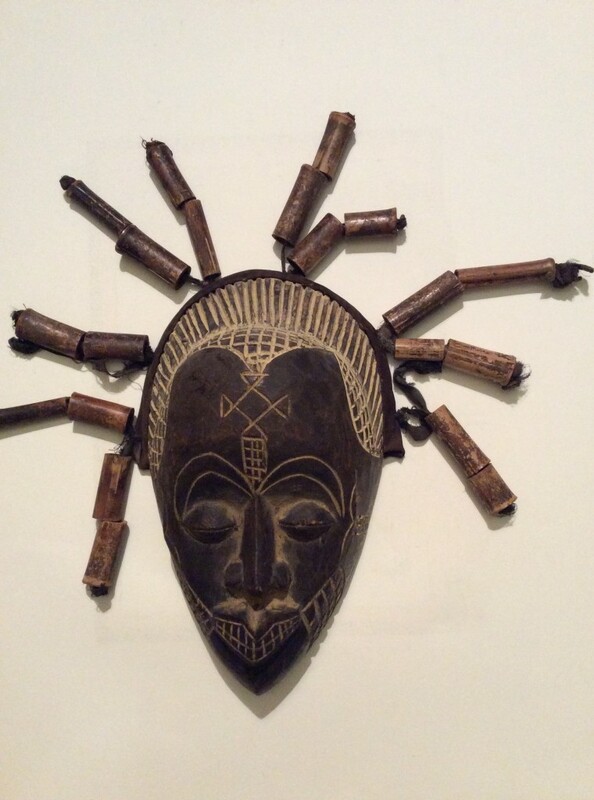 The name has been truncated to “dreadlock.” These African masks, made of wood in Ethiopia, are hand rubbed to a dark finish on the front and feature the ritual scarifications carved into the face of many African people. The dreadlocks are accomplished by hanging hollow pieces of Bamboo on strong strips of cloth, or sometimes leather.